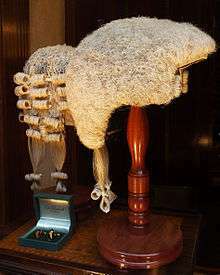 Short wigs as worn in court by advocates (left) and judges (right) in several Commonwealth countries. Members of the old Judicial Committee of the House of Lords (or "Law Lords") and the Judicial Committee of the Privy Council never wore court dress (although advocates appearing before them did). Instead they were dressed in ordinary business clothing. Since the creation of the Supreme Court of the United Kingdom in 2009, the Justices of that Court have retained the Law Lords' tradition of sitting unrobed. On ceremonial occasions they wear a robe of black silk damask embellished with gold with the logotype of the Supreme Court embroidered at the yoke. Court dress is worn at hearings in open court in all Senior Courts of England and Wales and in county courts. However, court dress may be dispensed with at the option of the judge, e.g. in very hot weather, and invariably where it may intimidate children, e.g. in the Family Division and at the trials of minors. In July 2007, the Lord Chief Justice of England and Wales announced that changes would be made to court working dress in the English and Welsh courts. The reforms were due to take effect on 1 January 2008; however, following reports of strong opposition to the proposed changes, they were put on hold, eventually taking effect in autumn 2008. The new robes for judges were designed by Betty Jackson and unveiled in May 2008, although a survey of judges published in March 2009 revealed substantial opposition to the new designs, as well as widespread annoyance at the lack of consultation prior to the change. English advocates (whether barristers or solicitors) who appear before a judge who is robed must themselves be robed. All male advocates wear a white stiff wing collar with bands (two strips of linen about 5"/13 cm by 1"/25 mm hanging down the front of the neck). They also wear either a dark double-breasted suit (or with waistcoat if single-breasted) or a black coat and waistcoat and black or grey morning dress striped trousers. The black coat and waistcoat can be combined into a single garment, which is simply a waistcoat with sleeves, known as a bar jacket or court waistcoat. Female advocates also wear a dark suit, but often wear bands attached to a collarette rather than a wing collar. Solicitors wear the same wing collar with bands, or collarette, as barristers. Their gowns are of a slightly different style, with a square collar and without gathered sleeves. By virtue of the Consolidated Criminal Practice Direction at I.1.1 (as amended by Practice Direction (Court Dress) (No4)  1 WLR 257), "Solicitors and other advocates authorised under the Courts and Legal Services Act 1990...may wear short wigs in circumstances where they would be worn by Queen's Counsel or junior counsel." Barristers or solicitors who have been appointed Queen's Counsel, or QCs, wear a silk gown with a flap collar and long closed sleeves (the arm opening is half-way up the sleeve). For this reason, barristers who are appointed Queens Council are said to have "taken silk". The QC's black coat, known as a court coat, is cut like 18th-century court dress and the sleeve of the QC's court coat or bar jacket has a turned back cuff with three buttons across. 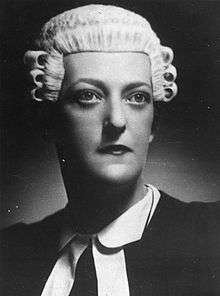 On special ceremonial occasions (such as the opening of the legal year), QCs wear (in addition to their court coat, waistcoat and silk gown) a long wig, black breeches, silk stockings and buckled shoes, lace cuffs and a lace jabot instead of bands. All judges in criminal cases continue to wear these traditional forms of dress, which are described in more detail below. Judges in civil and family cases, however, have since 2008 worn a new design of working robe with no wig, collar or bands; this plain, dark, zipped gown (of 'midnight blue gabardine with facings in navy blue velvet') is worn over an ordinary business suit and tie. The status of the wearer is indicated by a pair of different colored tabs below the collar: Appeal Court judges wear gold tabs, High Court judges wear red tabs, Masters of the High Court wear pink, and District judges wear blue. It was originally envisaged that Circuit judges sitting in the High Court would likewise adopt the new-style robe (with purple tabs) but they opted to retain their violet robe (as worn in the County Court). 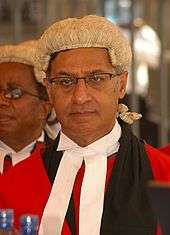 The Lord Chief Justice, when robed, dresses like a High Court Judge (see below) with the distinction of a train to his scarlet robe. On ceremonial occasions he wears the scarlet and fur hood and mantle, and in addition a gold chain of office in the form of a collar of esses. In 2010, the Chief Justice of Western Australia, Wayne Martin, introduced major reforms for Western Australian Courts; in the District Court, wigs were abolished for both lawyers and judges. District Court judges and lawyers maintained their robes. 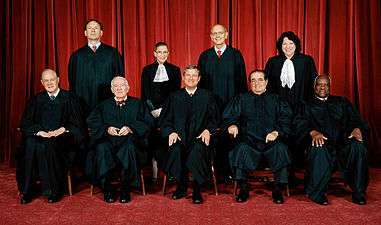 In the Supreme Court Criminal Jurisdiction, traditional judges' red robes were replaced with American-style plain black robes; this also applied to all appeal courts. Wigs were abolished in all Supreme Courts for both judges and lawyers. This change was met with a great deal of sadness by many members of the legal fraternity in the state, as it ended over 180 years of tradition in Western Australia. 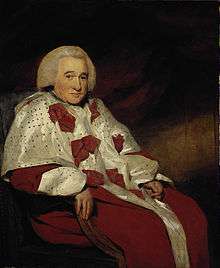 In Canada, court dress is identical to that previously (pre-2008) in use in England, except that wigs are not worn. Bar jackets are worn under the gown, though QCs and judges have more elaborate cuffs than other lawyers. Barristers are required to gown for the Courts of Appeal and Superior-level courts of the provinces and territories, unless appearing on applications in chambers (most interlocutory applications, all originating applications, and all applications for summary judgment are generally heard in chambers). The Federal Court and the Tax Court of Canada at the general procedure level require barristers to gown. As well, gowns are required at the Federal Court of Appeal and the Supreme Court of Canada. 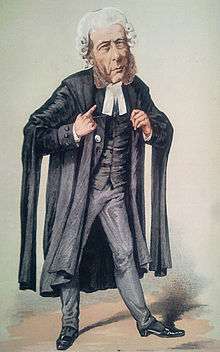 The donning of business attire is acceptable by barristers appearing in chambers and in inferior (puisne) provincial and territorial courts; court dress is also permitted, though rarely worn. 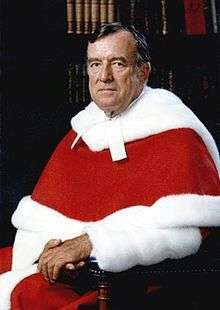 Judges of the Supreme Court of Canada wear red robes with white fur trim on ceremonial occasions together with tricorne hats; however, they wear black gowns when hearing cases. Judges of all other federal and provincial courts wear black gowns, sometimes adorned with various sashes and crests which depend on the level of court and the province in which the case is heard. All Canadian judges also wear black court waistcoats with white collar and tabs. Male Judges wear white shirts and trousers with a white neck band and a black coat, whilst female Judges normally choose to wear the traditional Sari, and team it with a white neck band and a black coat. In either case they can wear long trousers (white, black striped or grey) or Dhoti but not jeans. Churidar Kurta (Punjabi dress) or Salwar-Kurta with or without dupatta (white or black) or traditional dress with white bands, a black coat and Advocates’ Gowns. Lawyers are supposed to wear a gown having the barrister's pouch at the back. However, in certain courts, junior advocates do not have the pouch but have a flap instead (akin to solicitor's gown but with short sleeves). Judges and Senior advocates are also distinguished by the different coat which is like a full sleeved vest/ waistcoat. In New Zealand, court dress was simplified in 1996. District Judges wear black american gowns in the Employment Court and District Court. High Court judges wear the QC's gown over suits. while counsel are only required to wear black gowns for jury trials in the District Court, and all the time in the Employment Court, High Court, Court of Appeal and Supreme Court. Scarlet gowns and long wigs are worn by Supreme Court judges at the annual Opening of Parliament ceremonies. After independence, in Pakistan, the courts have continued to uphold the pre-independence (British-Raj traditions) of lawyers wearing white shirt and black coat, trouser and tie. However, in the 1980s, judges modified their dress to do away with wig and to allowed (optional) the usage of a Black Sherwand, a long traditional Pakistani coat worn over white Shalwar and Qamiz (trouser and shirt). In Sri Lanka, court dress is worn by both judges and counsels. Judges wear black gowns in the District Court, High Court, Court of Appeal and the Supreme Court of Sri Lanka while counsel only wear black gowns in the latter three courts. Both judges and counsel dress in white and black, white shirt, black coat, tie and trousers for men and white saree for women. Wigs are only worn on ceremonial occasions by judges of the Supreme Court and the Appeal Court and President's Counsel. Court dress in many jurisdictions with legal systems derived from England's, including Caribbean and African countries have court dress identical to that in England and Wales. As a common law jurisdiction, court dress in Hong Kong is practically the same as court dress in England and Wales. Under the auspices of the one country, two systems policy after 1997, when sovereignty of the former British crown colony was transferred to the People's Republic of China, the territory has continued to be common law jurisdiction, and English legal traditions have been preserved. 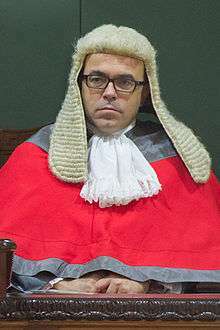 Judges in the Court of Final Appeal, however, do not wear wigs but only gowns with lace jabot, similar to those of International Court of Justice. First senate of the Federal Constitutional Court in 1989 wearing court dress. Fourth from the left is Roman Herzog, head of the court and President of Germany 1994-1999. German court dress consists of a plain robe similar to the ones worn in the United States, normally without any kind of scarf or collar. However, judges, lawyers and prosecutors always wear white shirts and white neckties under their robes. The colour of the robe varies between different kinds of courts. While at federal courts always dark red robes with dark red linings are used, regular courts (which are under jurisdiction of the German states) normally use black. At higher state courts other colors might appear depending on the state. For most occasions hats are out of use at German courts. 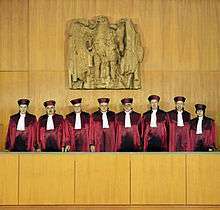 While the colour of German judge's robes can vary, lawyers always wear black robes while in court. The robes of lawyers and judges can be distinguished by the size and material of the lining. State's prosecutors wear the same black robes as state's criminal judges while representatives of the Public Prosecutor General of the country wear dark red robes as the federal court judges. At the Federal Constitutional Court a different type of robe is used which is based on historic court dress of the Italian town of Florence. The constitutional court judges' robes have a very high neckline and are combined with a white jabot and a red hat. Today, generally judges of both state and federal courts are free to select their own courtroom attire. The most common choice is a plain black robe which covers the torso and legs, with sleeves. Female judges will sometimes add to the robe a plain white collar or lace jabot. Beneath the robes business attire is standard. Typically judges pay for their own custom made judicial robe. Lawyers wear normal business attire in courts of all levels. During the second-wave feminism movement in the 1970s, some judges forbade female attorneys to wear trousers when appearing in court, but pantsuits are now widely accepted. Like judges, American attorneys do not wear wigs. These female attorneys do not have an ever growing wardrobe for the courtroom, instead it has continued to stay the same and has continued to be firmly enforced. Female lawyers, have only recently been given the luxury for wearing a pantsuit to the courtroom. Until the 1970s, morning dress was required of all attorneys appearing before the United States Supreme Court by the Court's rules. Even after the Court abolished the requirement, the Office of the Solicitor General maintained the practice. When the Solicitor General (or any of the deputies) appears before the U.S. Supreme Court, they wear morning dress, with striped trousers, grey ascot, waistcoat, and a cutaway morning coat. A feminized version is sometimes worn by female deputies, which consists of the same garments tailored to female measurements. Former Solicitor General Elena Kagan, the only woman to hold the office to date, appeared before the Court in pantsuits in lieu of morning dress. The traditional female equivalent of morning dress, "softly flowing dresses with hats", is strictly for social purposes and would be inappropriate attire for appearances before the nation's highest court. The Court's Marshal and Clerk of both genders also wear morning dress when the Court is in session. ↑ "Practice directions 2013" (PDF). ↑ "Practice Direction 1 of 2010" (PDF). Retrieved 16 January 2013.